This is the very first time that the StarLAB Rovers have been rolled out into Primary Schools in Australia as a part of the miniME Program, Obelisk Systems and Newcastle City Council grants to support student learning in the 21st Century. It is an exciting opportunity for the 18 miniME partner schools in Newcastle LGA to learn collaboratively in a digital environment and upskill our students for their future. 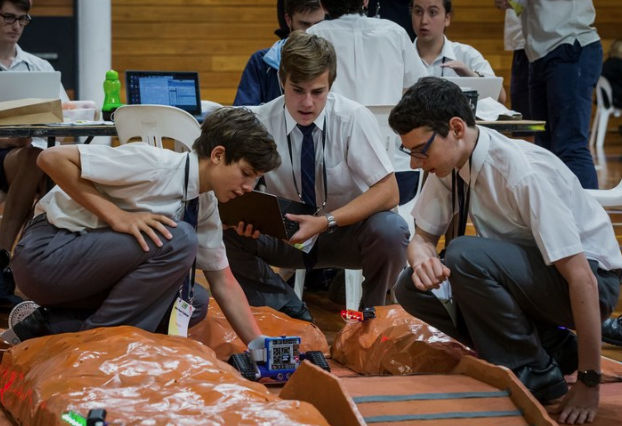 A unit of work that incorporates the StarLAB Rover, Scratch and the Newcastle Smart Cities project will be rolled out to accompany the program and facilitate creativity and collaboration amongst our students. These programs will incorporate lessons that are both useful and teacher/student friendly and are designed to support the already existing curriculum through Maths and Science. You will receive your first unit of work at the Hackathon. The Hackathon is designed as an introductory workshop for students and teachers to learn how to program and use the StarLAB Rovers through Scratch. There is no prerequisite knowledge required. This session is a step by step process designed for students and teachers to learn how to program the StarLAB Rover using the Scratch Coding Program. This session is designed for students and teachers to implement the skills they have learnt in Session 1 and negotiate a set path using the StarLAB Rover. This will be a fun competition between schools to see who can navigate the path the fastest and most accurate. This session is a great collaboration exercise where students and teachers work together to create their own code for the StarLAB Rover using Scratch. The Obelisk Team will play with the outcome.